We look forward to welcoming you to our family farm here. We offer a new fully furnished apartment for max. 8 people with 3 bedrooms (2 doubles and one quadruple). The bedrooms are each equipped with private bathroom and toilet. The spacious kitchen with a sofa bed is ideal for a common gathering. The apartment also has a small and a large balcony overlooking our mountain Schober. 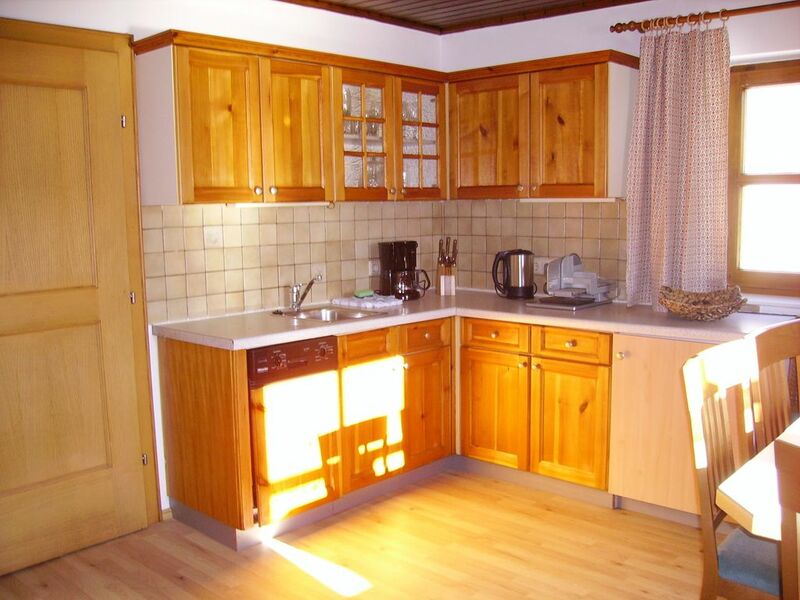 Our second guest is a fully furnished farmhouse. It has capacity for up to 10 people. The house has 3 double rooms and a quadruple room, 3 bathrooms each with WC, entrance hall with cloakroom, a living room with sofa and ski storage. A special feature of this property is our wood stove provides warmth and comfort in the kitchen. In this accommodation, there is also a small and a large balcony. Take advantage of our terrace in the summer for breakfast or just to enjoy the sunset! Special: Spoil your body with a relaxing massage! Special coziness you find in our winter garden with open fireplace and barbecue! Relax with a glass of red wine and feel the warmth of the fire. But also for your children is provided! On our farm there is much to be explored, including our animals ranging from cows with their calves, chickens, cats, rabbits and guinea pigs up to the pig - depending on the season. To play our playground is suitable with sandbox, slide and swings. Even in winter, there is plenty of space to romp like build a bobsleigh run and then sliding down our slopes - slip sheets are available for free! In both accommodation TV and Wi-Fi are free. Breakfast or bread service on request! Out in the country with easy access to every where we wanted to go. Nice to come home at the end of the day to peace and quite. 3 Erwachsene und 5 Kinder genossen ein paar Tage am Bauernhof. Spielplatz wurde ausgiebig benutzt, die Tiere fast "totgestreichelt". Alle erfreuten sich an den großen Duschen und der gut ausgestatteten Küche. Nur die Fliegen trübten die Ruhe (v.a. für die Schläfer im Zimmer neben der Küche). Aber damit muss man am Bauernhof rechnen. In Tennengebirge Annaberg, at 900 meters above sea level is our family-friendly farm. If you are looking for unspoiled nature, walks from the farm, a not overcrowded Dachstein West ski and relaxation you have come to the right place!